Imagine if there was a place where you can store your images, set your prices, and even offer various types of prints for your customers with just a few uploads and clicks. It sure sounds a lot like running your own photo booth website, but the difference is that you don’t have to handle every single part of its operation. Listen, not all of us photo booth business owners have the time to run our own website and handle every single part from the way our site looks and be able to go out and deliver our photo booth services. Are you a photo booth business owner who is looking for a service that allows you to upload your client’s images onto a well-designed platform with no effort in the technical aspect of it at all? There are quite a few platforms out there nowadays that do give photo booth business owners that option, but they lack the ease of use and quality customization’s of photos. Add on top of that, there are only a few platforms that allow extremely large sizes of files to be uploaded. The platform that allows me to do almost anything when it comes to uploading my photos and selling them is called SmugMug. If some of you guys have ever used SmugMug before, you’ll understand why it’s such a great tool for the photo booth owners to do business. If you are looking for a photo storage website that can offer the highest level of security, SmugMug will be an excellent choice. You can easily create private galleries that are password-protected. With this, there are pictures that can be set to private and will not be view-able by anyone unless they enter the right password. You will also retain the copyright of the photos, and you can opt for such to be view-able in limited sizes to protect the original copies. I personally find that SmugMug allows the most ease of use due to its simple customization tabs where you can design the way your profile looks. Actually, when you start using SmugMug, you get the benefit of your profile becoming its own website without having to worry about coding and hiring others to manage the website. Your profile on SmugMug is where your customers can come and look at the images you took for them. I love the simple fact that once I upload an image onto my profile, all I have to do is set the prices and direct my customers to my profile so that they can view their images and decide to purchase. Yep! that’s all that I need to do on my end of course. ● Take care of all customer service for you, and all you have to worry about is looking forward to the quality images that your customers will buy from you. ● They will manage all the prints and sizes while keeping the quality of the images. ● They offer multiple designs for images. Just simply select and save the designs and use them for your images. 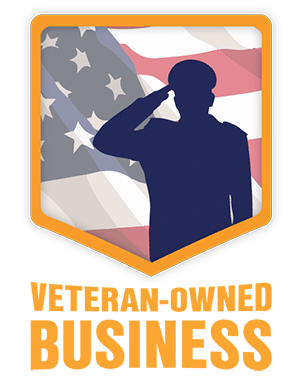 ● Easy for customers to purchase as all they have to do is select and add the images or the various types of print (CDs, Coffee Mugs, T-shirts, etc.) to their shopping cart. ● You get to set the price for your images. There are no set amount, and you are free to decide how much your image products cost. SmugMug does sound a lot like having your own website, but you can see for yourself, the only work that is required from your end is to group and upload the images, set the price, and direct your customers to your SmugMug profile. It’s easy and convenient for those that don’t have the time and resources to build their own website gallery which also use your servers resources. Don’t understand something? Unlike owning your own website or other image platforms that requires you to learn everything by yourself, SmugMug provides you with videos that literally holds your hand from start to finish. I have my own website, but one small error here and there can mean a disaster for my business. I know a lot of us who come into the photo booth business just don’t have the time to deal with a website or a image hosting platform that can store and sell photos, and if you do, you better hire a good computer guy and trust me they’re not cheap. If you have troubles on SmugMug, you can just go back to the video tutorials and easily solve it. Any big technical stuff is on SmugMug’s end, not yours, so you don’t have to worry and feel overwhelm about stuff that you don’t know. As a photo booth business owner, I am always out and heading towards my clients destination. Even though when I do have some free time, I would want to spend that time working and scheduling out my next client’s event or maybe spend some time with my family. SmugMug has really made their platform really easy to use for someone like me who wants to save time. My schedule has forever been more flexible than it was in the past. About 2 years ago I used to hand over a DVD or USB after each event. A few times after an event I would get a call saying that they have misplaced their DVD or USB and would like us to mail them another copy. How many of you get that same message? You, know what I am talking about! I don’t mind doing that, but after awhile the story gets old. I told myself there had to be a better way. So I did some research and I found a solution within SmugMug. I never really had the time to explore all the features within the SmugMug backend so I decided to take some time and dive into to the features then “Hallelujah!! !” I found the download gallery link! That link saved me TIME and MONEY! So long to the days of buying DVD’s and USB’s. The digital era had begun.. Simply download the gallery in the backend of SmugMug and in less than one minute you will receive a link sent to your email which you can forward to your client. Side note, the link is set to expire in 7 days so your client will have to download the gallery within that time then you will have to regenerate it. Now if my client tells me that they lost their link, I can simply resend it to them. Problem solved! This is also a great way to follow up in the same email as the link with a short thank you. I feel our clients appreciate that and it serves as a way to close out the deal. In this same email I tell our client’s to go to their gallery on SmugMug and they can purchase additional prints from their event and to share this email with friends and family that attended the event. That way they can purchase additional copies of their photos sent directly to their home. When a customer purchases the images, you make a profit. You can set your custom prices in the backend with the SmugMug Portfolio and Business plan account. The only small downside to this is, since you are using SmugMug’s service, they will take 15% of the profit you make. It’s nothing big, but it’s a little payment for them for handling everything for you. From ordering to shipping directly to the customers home. It’s like hiring a quality computer team that you can trust to handle everything for you for a price that’s x10 less. I really do enjoy my service with SmugMug for the past 5 years, and I believe it can benefit a lot of you photo booth business owners out there and can also provide an additional stream of income. Saving time and having quality service to your customers in a few clicks can mean a whole lot for your business. 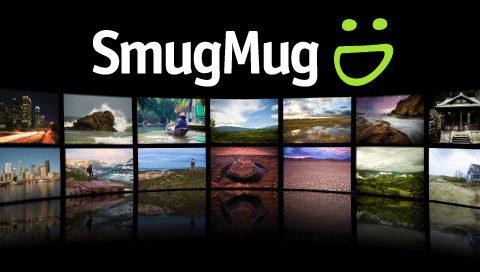 Below is our affiliate link if you would like to try out SmugMug.